Melt the chocolate over a bain-marie or in the microwave. Peel the fruits and cut into equal sized pieces. Thread the fruit onto skewers. 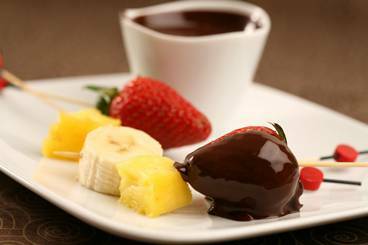 Pour the chocolate into the fountain and then dip the skewers into the chocolate. Enjoy!